The following questions are the most frequently asked by our prospective clients. The best strategy is to ask each contractor that you seriously consider hiring to provide their answers in writing. This will help you to eliminate those contractors that might not have the cleanest record or the experience you need for your project. At Harbour Towne Construction we welcome the steps taken by the State of Georgia to protect homeowners from unscrupulous contractors. Asking questions and requesting that the contractor provide their answers in writing helps to weed out unscrupulous contractors that take advantage of unsuspecting homeowners. Here is one example: instead of simply asking if the contractor is licensed in Georgia – ask to see their license and then you can check on the State website to see if they are listed and you can check to ensure that their license is current. Tom Dwyer welcomes your questions. He has 40 years of experience and his company has successfully completed over 800 total remodeling projects in the last 40 years in the Atlanta metro area. If you want to add an addition for extra space, or if you want to update with a new kitchen, a new bathroom, a finished basement, a porch, or you want to improve the layout and enjoyment of your entire home with a whole house remodeling project we can help. We provide our design build and remodeling services in Dunwoody, Sandy Springs, Buckhead, Roswell, Decatur, Vinings, Marietta, East Cobb, Alpharetta, Duluth, Chamblee, Doraville, Norcross, Tucker, Lilburn and Stone Mountain. Our success is based on performing to the standards we have set every day. We invite you to ask us all the questions you can think of and we will provide you with our answers in writing. You can reach us via phone or email from 8 AM to 6 PM on normal business days. We return all unanswered and non-emergency calls between the hours of 9-5, as often as possible the same day. Are You and Your Company Properly Licensed in Georgia by the State Licensing Board for Residential and Commercial Contractors? Yes. Tom Dwyer is licensed with a Residential-Light Commercial Contractor license. He is the qualifying agent for Harbour Towne Construction, Inc. and his license number is RLQA002160. Harbour Towne Construction is licensed and the company license number is RLCO001958. Homeowners and business owners that hire someone without a license endanger the safety and welfare of other people and they undercut other contractors that operate within the law. For every story you may have heard about a friend getting a “great deal” there is another story about a homeowner that got taken. A contractor that operates outside of the licensing requirements is cheating the government and they are just as likely to cheat you. Avoiding them is just a smart idea. Have you ever declared bankruptcy for this or any other home improvement, home remodeling, design build or new home construction company in which you owned an interest? Two surveys conducted in 2007 and in 2011 by a consulting firm for the contracting industry found that 35% of home remodeling, home improvement and design build companies that advertise in directories were out of business within 5 years. Unfortunately some owners will close up one business when they run into quality or credit problems and then open up another company with a similar name. We recommend that you request the following information from any company you seriously consider hiring. Please provide the name of each corporation, LLC (limited liability company), partnership, sole proprietorship or other legal entity, which is or has been a home improvement contractor, home remodeling contractor, design build contractor or a new home construction contractor, in which any of the owners are or have been a shareholder, member, partner, or owner during the previous five years. Harbour Towne Construction, Inc. and Tom Dwyer will supply you with all of our required information at our first meeting. Do I have to meet with you to get a “ball park” estimate over the phone or via email? Yes. There are far too many choices and variable in any construction project to give a ball park estimate. For example, your choice of cabinets, countertops, appliances and fixtures can have a dramatic impact on your final investment. Attempting to come up with a ball park estimate without knowing all of the details is certain to result in an estimate that won’t be close to the final number. We have successfully completed kitchens for 20-120K . This type of range or “ballpark” won’t give you much of a clue. Some contractors will deliberately give you a low number to entice you. They know that once a project is started that there will plenty of places to “jack up the price”. They also know that once a project is started it will be a huge pain to fire them. We first will meet with you to get a complete understanding of your needs and desires; we meet with you in person and ask you a lot of very specific questions. We will then be able to create a design for your approval. Once you approve the design, we will prepare a fixed price proposal for your review. Each proposal will specify the materials to be used, the line item detail of all tasks and will include a fixed price for the total project. Specific allowances will be clearly shown for items the homeowner will choose. Many times our clients will ask us to do additional work or will request a change in their plans. We are happy to accommodate and will provide our process for changes to the original bid requirements that you request. Unless you approve our written change orders, our price is final. We hope that you now have a better understanding of our approach to your project and why avoiding contractors that will give you a “ball park” estimate should be avoided. Considering them just isn’t in your best interest or professional. Can you explain what Design Build is? We use a formal design process and many times we will use 3-Dimensional Computer Aided Design (3D-CAD) drawings. Tom Dwyer has over 40 years of experience. He knows from experience what works and what doesn’t work based on successfully completing over 400 extensive projects in the last 15 years in the Atlanta area. Creating the design allows us to know all of the details which will eliminate guesswork and mistakes that are often created by less formal “back of the envelope” or hand drawn designs many of our competitors use. If you want to add on for extra living space, or simply improve the layout and functionality of your home by renovating your kitchen, bathrooms, master bedroom, home office, outdoor kitchen or pool area let us show you how our design and build experience can help make your dream a reality. We provide our design build and remodeling services in Atlanta, Dunwoody, Sandy Springs, Buckhead, Roswell, Decatur, Vinings, Marietta, East Cobb, Alpharetta, Duluth, Chamblee, Doraville, Norcross, Tucker, Lilburn and Stone Mountain. 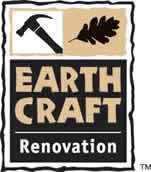 Are professional designations like Certified Remodeler - CR really that important? We believe they are. Tom Dwyer was one of the first remodelers in the US to attain this prestigious designation and he has maintained it since 1991. He has gone on the receive the Master Certified Remodeler (MCR) designation as well as a Certification in "Universal Design" (UDCP). The Certified Remodeler CR program from the National Association of the Remodeling Industry (NARI) is a challenging program that approximately 800 remodeling contractors have been able to complete. Considering that there are an estimated 100,000 remodeling contractors in the US, this is quite an achievement. 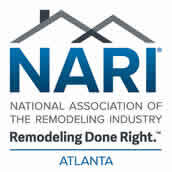 NARI certification of professional remodeling contractors serves as the association's recognition of remodeling professionals who have met stringent criteria for experience and pledged a commitment to high standards of practice and NARI's Code of Ethics. NARI certification is a challenging process, requiring extensive knowledge of the industry, sound business practices and a commitment to professional conduct. Even highly experienced and skilled remodelers find the screening and testing process formidable. Once awarded their certification, NARI certified remodeling professionals must meet annual recertification requirements involving continuing education and participation in industry related programs. The home remodeling industry is fast becoming very high tech, eco-friendly and more efficient. Methods and materials that were industry norms just a few years ago have now been replaced with more effective alternatives and your contractor should be well educated in them. This is not something you pick up from a magazine article. These best practices must be taught, practiced and learned by a professional crew before they apply them to your project. There will always be challenges in individual projects and all of the training and experience helps us understand how to overcome them. Less experienced remodeling companies will be getting on-the-job training at your expense and that can lead to a bad experience. Are Industry Awards a real indicator of consistent success? We believe they can be. Harbour Towne Construction has been recognized a number of times since 1993 for outstanding quality in the home remodeling industry in Atlanta. Tom Dwyer is certainly proud of the recognition his team and company has received but he is most proud that his clients continually refer him to family, friends and business associates. For Tom, being referred is the highest compliment that he can receive. The competition in the Atlanta area is intense. Awards are certainly an indication of excellence and they are very hard to win. Tom believes that references are another important way to evaluate the contractor – that is why we provide you with at least 50 recent references as an indicator of our continued success in meeting our client’s needs and fulfilling their dreams. If you take into account that there are easily more than 500 remodeling contractors in the Atlanta metro area, being named to the Atlanta Business Chronicles List of Atlanta’s Top 25 Residential Remodeling Contractors in 2009 and 2008 is quite an accomplishment. We provide our design build and remodeling services in Dunwoody, Sandy Springs, Brookhaven, Buckhead, Atlanta, Roswell, Decatur, Vinings, East Cobb, Alpharetta, Duluth, Johns Creek, Peachtree Corners, Chamblee, Doraville, Norcross, and Tucker. .
Just about everyone I know tells me that “no one will ever give a bad reference”. Is that really true? Most likely no, but if you really want to find out how consistent a contractor’s work is then ask for at least 15 references and check them out thoroughly by using the questions on our references page. Most contractors only provide 3 references. Since even small remodeling contractors complete 25 projects every couple of years, it is pretty easy to find 3 people that liked your work. If you’re thinking about building an addition for extra living space, or simply improving the layout and functionality of your home by renovating your kitchen, bathrooms or master bedroom but you’re hesitant because you heard about or had a bad experience in the past – we understand. Good and reputable contractors should be able to come up with 15 references. Checking out that many references will reduce the risk of making a bad hiring decision and your chances of eliminating remodeling contractors that don’t deliver consistent quality is very high. 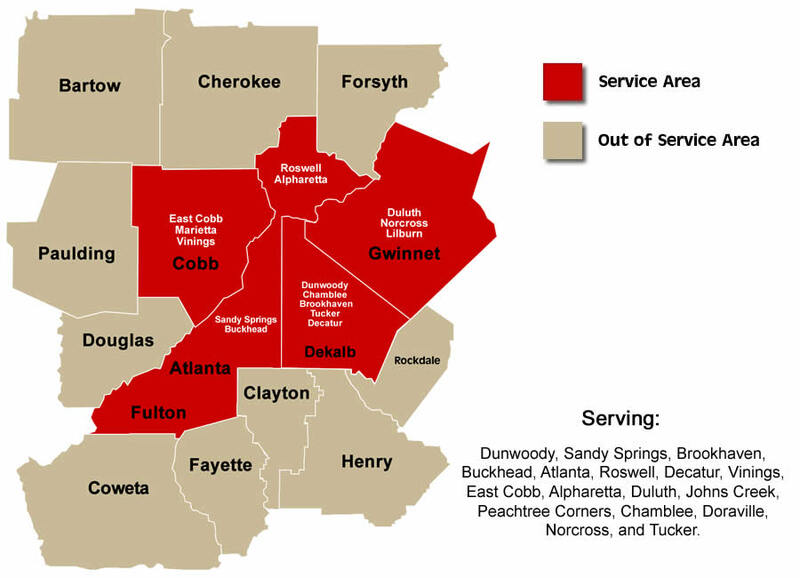 This is important information - Due to the economy, many out of area companies and many commercial companies have entered the Atlanta market to stay alive. Make sure you ask for 15 local references. If a company isn’t familiar with the local building regulations and local inspection requirements in the Atlanta area then your project can come to a complete stop. This is likely to cost the contractor a lot more money to complete your job and if they can’t pass the cost on to you, they may simply walk away. Harbour Towne Construction is pleased to present over 50 references from past clients and we strongly encourage you to call them and ask the tough questions. No one else is offering business references, are they really necessary? It probably won’t surprise you that due to the economy in the Atlanta area in the last few years that people that got laid off or had done handyman type work on the side decided that they could become full time home remodelers. Another thing that you may not know is that some commercial construction companies entered the residential remodeling market to stay alive. You don’t want to make the mistake of hiring any of those companies because they will be learning the remodeling business at your expense. Established remodeling and home improvement companies will have a solid working relationship with their bank and their key suppliers. This allows them to get preferential treatment and pricing so they can stay competitive. Companies that are slow to pay their vendors may be using your deposit and funds to pay off other projects and this can lead to unexplained delays in your project. Harbour Towne Construction will provide you with our bank and vendor references at our first meeting. Doesn’t “fully insured” mean that the remodeling contractor has enough insurance? No. This is one more area that many companies (even quality ones) will look to save money by cutting their insurance coverage and hope that “nothing goes wrong”. In Georgia, a contractor must be licensed through the State Licensing Board for Residential and General Contractors to legally perform residential construction or remodeling projects. To hold a Residential-Light Commercial Contractor license in Georgia, the contractor must maintain $500,000 of General Liability plus Workers Compensation insurance. Ask to have the contractor’s Certificate of Insurance sent directly to you by their insurance agent. The agent won’t send it if it isn’t current. Ask to be listed as the certificate holder on the Certificate of Insurance. Our insurance agent will provide you with our documentation so you can feel comfortable that our insurance is current. 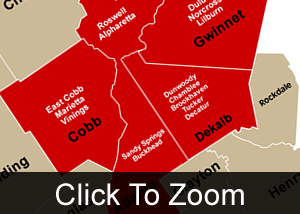 Note: You may not be aware that in Georgia, Workers Compensation is NOT required for companies of three persons or less. However, a smart contractor requires his subcontractors have the necessary insurance to keep his costs down. If an uninsured subcontractor is injured he will automatically make a claim against the general contractor and potentially against the homeowner. You don’t want to find this out after there is an accident on your property. Tom Dwyer spends a considerable amount of time up front detailing all aspects of your project and anticipating possible pitfalls based on successfully completing over 800 total home remodeling projects in the last 40 years. Simply put – a fixed price agreement lets you know what your project is going to cost including all of the details of materials and processes. It eliminates the “fudge factor” many contractors build in. Tom starts by creating a design for your approval. Next, he asks his clients to make all of their material selections. Once he has all of your selections, he prepares a fixed price agreement for the work specified. All project costs including plans, permits and materials are included in our agreements. Our written installation processes make it easy for you to make a true apples-to-apples comparison of what we are offering with what our competitors are offering. This is in sharp contrast to what many of our competitors do. Many contractors in the Atlanta area don’t want to provide the kind of details we provide. There are many places in a construction project where corners can be cut or inferior materials substituted to make more profit. This is especially true for the low bidders. It is not uncommon for some of these contractors to leaving out required costs or to include totally unrealistic allowances for key items. This approach leads to an unpleasant and unexpected increase in the final contract price. Unfortunately, this is simply a way of doing business for some home remodeling companies because they don’t expect to work for you again. It is not uncommon for homeowners to end up paying 20% or more than they expected. In many cases the homeowner also ends up with a lower quality job that will probably last until the warranty runs out and then will begin to fall apart. If this is your dream project, don’t take the risk of hiring a contractor that has a price that is “too good to be true”. We all buy our materials from the same suppliers and if they are paying their employees and subcontractor a fair wage then their bid should be in line. If a contractor provides a quote that is 15% or more below the next lowest bid, it isn’t the same job. It can’t be because there isn’t that much profit in a typical home remodeling project and no one works for free. If you accept that bid, you will either end up with quality issues or paying more than the original quote. Who will supervise my project on a daily basis? This is a great question. This is especially important if you are considering a larger company. You want to make sure you are getting their most experienced team and not the team that is learning on your dime. Our project supervisors have an average over 20 years of experience in the home remodeling business and Tom Dwyer has over 40 years of experience and frequently inspects ALL his jobs. Your supervisor will be on your job each day to ensure that the project is moving toward the promised completion date. It is a smart idea to ask very specific questions about the experience of the supervisor that will be in charge of your project. Ask the company to provide a list of projects that your supervisor has overseen. Ask to interview the supervisor and find out about projects similar to yours that they have worked on and what challenges they had to overcome. You might even ask them what they like about renovating and remodeling to make sure they really like what they do. What do you do to keep your projects on schedule? We use a pre-construction checklist, Critical Path scheduling and have weekly project updates with you to keep your project on time and to keep you in the loop. We maintain a white-board schedule calendar on site for everyone to see. We put so much emphasis on planning – we know all the places that will be frustrating for you – but based on the number of testimonials we get – our clients are very happy to deal with the inevitable annoyances that are part of every project. We set up the pre-construction checklist to minimize the frustrations that occur when your regular routine is disrupted because no one likes living with construction. This tool starts the project off right. Our checklist gives you the information you need to know to keep your family and pets safe during the project. Our Critical Path scheduling program includes project milestones and all the tasks required to reach those milestones. Our tool is simple to understand and easy to set up for your project. It quickly allows us to see if we are on track so we can make corrections. Our written installation processes help us to maintain a consistently high level of quality. We don’t take things for granted; we make sure our crews know what is expected on each major type of project. We recommend that you ask every home remodeling contractor you are considering using for their project planning tool. To attempt to do even a bathroom remodel without a project planning tool is a recipe for disaster. Tom will meet with your or call you each week to keep you up to date on the job progress. All of our planning and controsl are essential elements of keeping your project on schedule. If you want to add an addition for extra space, or if you want to update with a new kitchen, a new bathroom, a finished basement, or you want to improve the layout and enjoyment of your entire home with a whole house remodeling project our systems will keep your project on schedule. We provide our design build and remodeling services inDunwoody, Sandy Springs, Brookhaven, Buckhead, Atlanta, Roswell, Decatur, Vinings, East Cobb, Alpharetta, Duluth, Johns Creek, Peachtree Corners, Chamblee, Doraville, Norcross, and Tucker. How often will I meet with you or get an update from you? We understand how important it is for you to be kept up to date on your project. Tom Dwyer will meet, email or call you every week to review the progress of your project in detail. For shorter projects he will provide you with an update every 2 days. Tom also receives daily reports from or has meetings with his project supervisors to review your job. These reports and meetings are just one of the ways we keep your project moving. You can reach us in multiple ways – phone, email or fax. We also provide a convenient onsite “Communications Binder” to exchange information. We understand that keeping you informed allows you to feel comfortable that progress is being made. If you have ever worked with a contractor that always seem to be apologizing for not getting back to you sooner, we are 100% confident that your experience with us will be much more pleasant. There are so many more things that we do to keep your project moving toward completion and we will be pleased to share them at our first meeting. When you start a job, do you work on it every day until it’s completed? Unless there are circumstances that we can’t control like weather or delayed inspections, we stay on your project every day until it is completed. Heck that is the only way we are going to get paid. Every long project will have a few days when we need to coordinate deliveries, set up inspections, coordinating specialty trades and more. So on some days you may not see us but we are still working on your project. Our ongoing communications keep you informed so you won’t be left wondering. Contractors are famous for not finishing the “punch list”, how do I know that you will? We design your project and then use a pre-construction checklist, a formal scheduling system and weekly project updates to keep your project on time. Some contractors don’t want you poking around the project. We invite your questions during the project. If you want to make a change to the original plan, it is much easier to make the change before we get the task completed then after we have finished it. We also provide a comprehensive walkthrough at the end of the project to ensure satisfaction. We conduct this after we have gone through our internal quality review. All of our internal systems ensure that our end of the project punch list is minimal and we invite you to ask any of our references about this. We conduct pre-employment screening and background checks on all potential employees. We have a written policy that prohibits smoking or drug and alcohol use on the job. We also have trained our crews to act like guests in your home. Again we encourage you to ask our references about this. How long is your warranty and what does it cover? We provide a 2-year warranty for the labor and installation on all design build and home remodeling projects. This demonstrates that we stand behind our work. A one year warranty isn’t really that good. It is similar to a 50,000 mile warranty on a car. Even a poorly constructed project is likely to last for a year before starting to fall apart. Harbour Towne Construction has been in the remodeling business for 40 years. His success in is not an accident. Good systems and great people have allowed him to offer a warranty that is twice as long as most of our competitors and the law requires. No you do not. We will go over this and many other items before we start your project. We may need to contact you during the day to answer your questions or to get your input on other items. .
How long should it take to finish my project? This is an area where we believe our systems far exceed those of our competitors. Harbour Towne Construction utilizes multiple tools to move your project to completion by the promised completion date. In most cases this is just a guess. You should be shown a specific schedule of events and milestones. Poor planning is one of the biggest factors in construction delays. This is also one of the biggest frustrations homeowners have with home remodeling contractors – missed completion dates. Our pre-construction checklist, Critical Path scheduling system and weekly project updates are all essential parts of keeping your project on time. Beware of contractors who will promise you the world in terms of a quick start date or a really quick completion date. Thorough planning is required to effectively complete a project on time and without plenty of details you will most likely be disappointed and frustrated by the extra weeks or months required to complete your project. What do you do each day to clean up? We will ask for access to a sink that we can use for cleanup but will make other arrangements if that isn’t possible. We also use a written daily cleanup checklist to make sure the site is secure and safe for your children and pets at the end of each workday. Do you work with Home Owner’s Associations? 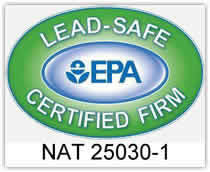 Can you explain the EPA law on lead paint? The Environmental Protection Agency (EPA) passed a new law that became effective on April 22, 2010. The law is designed to protect homeowners, their families and contractors that work on their home from the risks of lead hazards. The use of lead based paint was discontinued after 1977 but if your home was built before 1978 it is very likely that it contains lead based paint. Home remodeling projects typically have sanding, cutting and demolition of existing parts of your home. Any of these construction activities can create a health risk for your family by disturbing lead-based paints. As a past President and Board Member of the Atlanta chapter of the National Association of the Remodeling Industry, I support this law that helps protect homeowners and their families from this risk. Lead based paint can cause some very nasty health issues. Harbor Towne Construction was one of the first home remodeling contractors in the Atlanta area to be certified under the new law. Unfortunately, some remodeling contractors are still not certified. The best advice I can give you is to cross them off of your list. If you do hire them you could be exposing your family and your children to lead poisoning. Take the simple step of asking for proof of their certification before you meet with them.